This chart shows how mandatory spending and discretionary spending fit into the president’s overall budget. 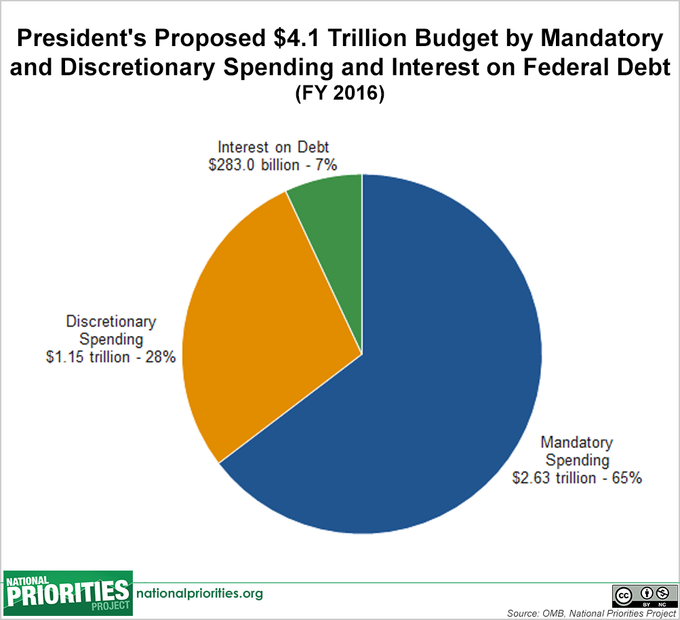 Under the president’s proposal, $1.15 trillion in discretionary spending would make up less than a third of all federal spending while 65 percent of spending, or $2.63 trillion, would be spent on mandatory spending programs. The remaining 7 percent of the budget, or $283 billion, would go towards interest on the federal debt.